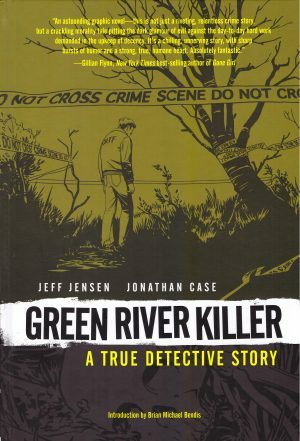 There’s a terrifying start to Green River Killer as someone we later come to know as Gary Ridgway befriends a young boy, takes him into the woods and stabs him just to see what it feels like in a grim echo of the Johnny Cash song Folsom Prison Blues. This is in 1965, and it would be over 35 years before Ridgway was finally arrested, by which point he’d killed at least fifty women. It’s not Ridgway who’s the primary subject however, and the subtitle of ‘A True Detective Story’ is more representative. Seattle police officer Tom Jensen spent twenty years attempting to track down the killer named after the location where his first victims were discovered. 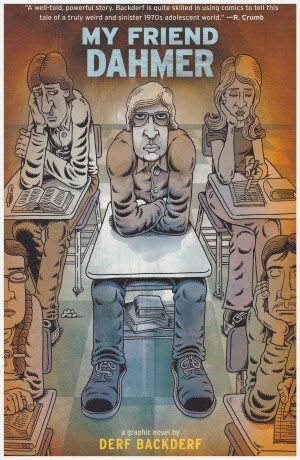 As Tom’s son and an established comics writer, Jeff Jensen is uniquely positioned to deliver insight, providing a story that’s respectful to Ridgway’s victims while also detailing the effect of a case seemingly without end on his father. As emphasised in the text, Ridgway comes across as resolutely ordinary, if on the dim side. 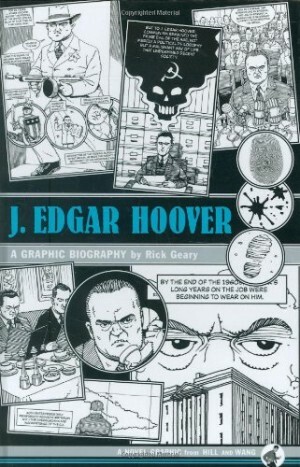 It’s noted he’s a man who just snaps, but beyond the shock of the prologue although his victims are portrayed, he’s not depicted committing a crime. This isn’t a chronological telling. After the prologue we have a quick skim through Jensen’s life then leap ahead to his questioning Ridgway in 2003, his quest finally at an end. Or that’s what he thinks. 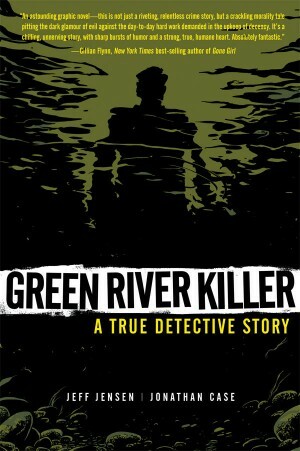 The remainder of the book splices frustrating scenes of Ridgway being escorted to areas where the corpses of his victims were discovered with interludes working their way forward from Jensen’s 1983 allocation to the case of the Green River Killer. 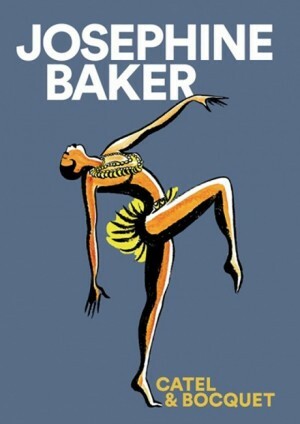 It’s effective storytelling that mirrors the frustration of a career for the reader in microcosm. This is an investigation that starts with the anticipation of rapid closure, features numerous false leads and dead ends, and survives accusations of incompetence and political interference. Very telling is Jensen being able to remember when something occurred by associating it with details of his investigation. 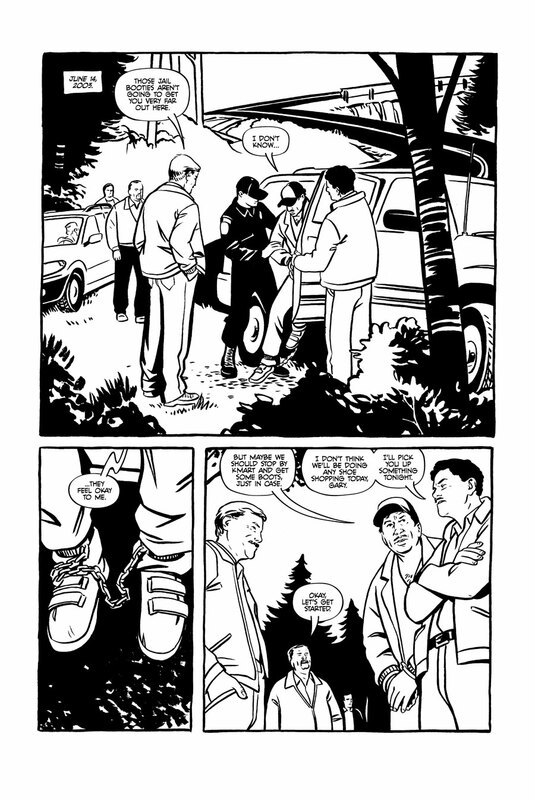 Jonathan Case is a fantastic artist who brings a loose naturalism to every page. His cast live and breathe, and they’re fleshed out by nice small touches, some supplied by the script and others of his own making. It’s the script that notes Ridgway’s eventual arrest on a rainy day, yet Case’s emphasis in the breakdowns maximises the drama, establishing a certainty. As well as being a compelling spotlight on how the ripples from a murder spread far and wide, it’s a veritable text book of insight both procedural and personal. Ridgway was advised to start divorce proceedings immediately he’d been arrested, as his trial defence will cost everything he has, yet if a divorce has begun at least his wife won’t be left destitute as she’ll be entitled to half his net worth. 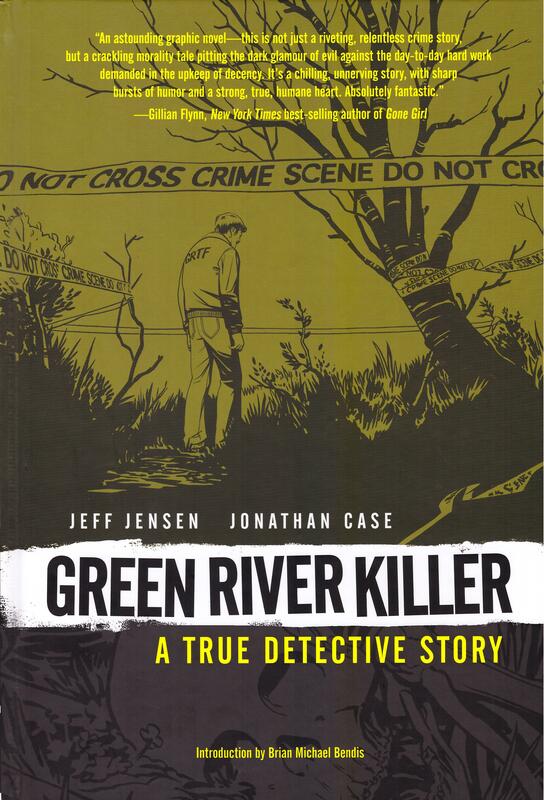 It’s such minor details along with the tragic world-weary characterisation of Tom Jensen that makes Green River Killer a memorable read as it works toward a final chapter that’s the most emotionally powerful of all. 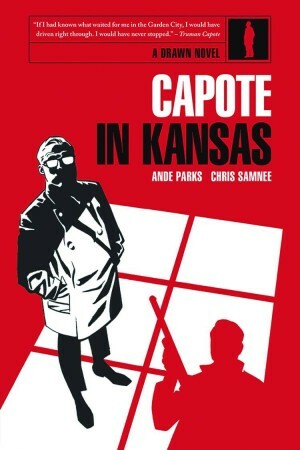 The story may not be the one you think you’re getting, but it stays with you, and is thoroughly deserving of the Eisner Award it won for Best Reality-Based Publication. Around the midway point there’s a scene set on Father’s Day in which the virtues of fathers living and dead are extolled. One day Jensen and Case’s children ought to have a similar respectful admiration about them.